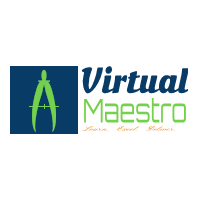 Virtual Maestro: Virtual machine network adaptor types. When you create or configure a virtual machine, you can specify network adapter (NICs) type. Emulated version of the AMD 79C970 PCnet32 LANCE NIC, an older 10 Mbps NIC with drivers available in most 32-bit guest operating systems except Windows Vista and later. A virtual machine configured with this network adapter can use its network immediately. Identifies itself as a Vlance adapter when a virtual machine boots, but initializes itself and functions as either a Vlance or a VMXNET adapter, depending on which driver initializes it. Without VMware tools installed, it runs in Vlance mode. However, when you install VMware tools, it changes to high performance VMXNET adapter. SR-IOV uses physical functions (PFs) and virtual functions (VFs) to manage global functions for the SR-IOV devices. PFs are full PCIe functions that include the SR-IOV Extended Capability which is used to configure and manage the SR-IOV functionality. It is possible to configure or control PCIe devices using PFs, and the PF has full ability to move data in and out of the device. VFs are lightweight PCIe functions that contain all the resources necessary for data movement but have a carefully minimized set of configuration resources. You should choose this adapter type if you are running latency sensitive workload and need high performance adapter. However, do check if your guest operating system does support this type of adapter as it is supported by limited versions of operating systems. Also, number of available virtualization features like vMotion, DRS, FT and other will be reduced as they are not compatible with SR-IOV. Please check VMware KB article on SR-IOV for information. You can also check VMware KB article on which adapter you should choose for virtual machine.